The season of giving is here, yet again. 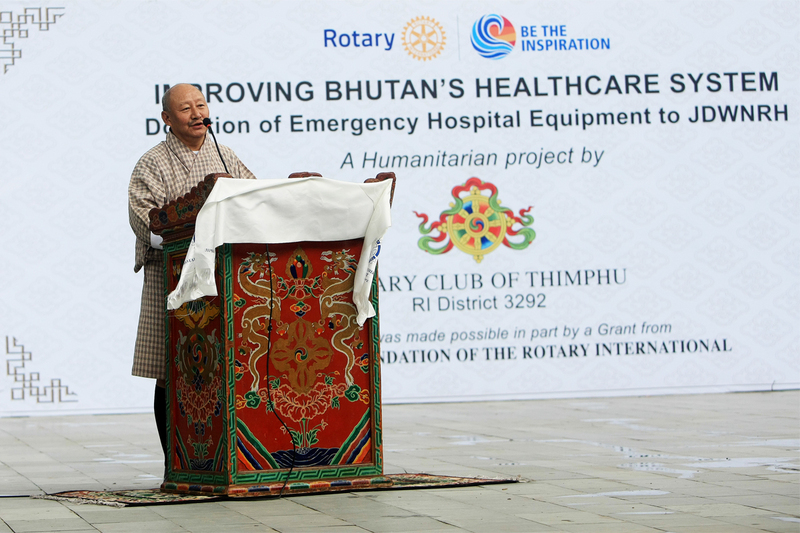 On 11th September, 2018 the Rotary Club of Thimphu handed over US$ 54,500.00 worth of emergency hospital equipment to Jigme Dorji National Referral Hospital (JDWNRH), Thimphu. 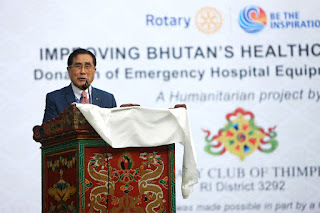 Being in the middle of the campaign period of the country’s 3rd Parliamentary elections, the ceremony was toned down considerably - to avoid attracting too big a gathering. 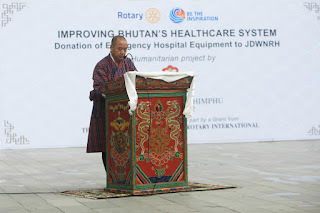 Even then there was a man in blue wanting to know who was in charge of the affairs - I gave him my name, my mobile number, information that we had the written approval of the Election Commission, the Dzongkhag Administration, the City Corporation, including, most importantly, that of my own. With the handing over of this Global Grant Project of the Rotary Club of Thimphu and a number of Rotary Clubs in South Korea, the Emergency Department of the JDWNRH is now better equipped to handle emergency cases with more efficiency and promptness. Towards the end of this year we will be donating another US$222,079.00 worth of Global Grant Project equipment – to provide critical microsurgery equipment to JDWNRH’s ENT and Cancer Departments. 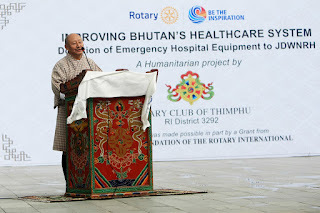 With the completion of this project in December of 2018, the Rotary Club of Thimphu would have donated in excess of Nu. 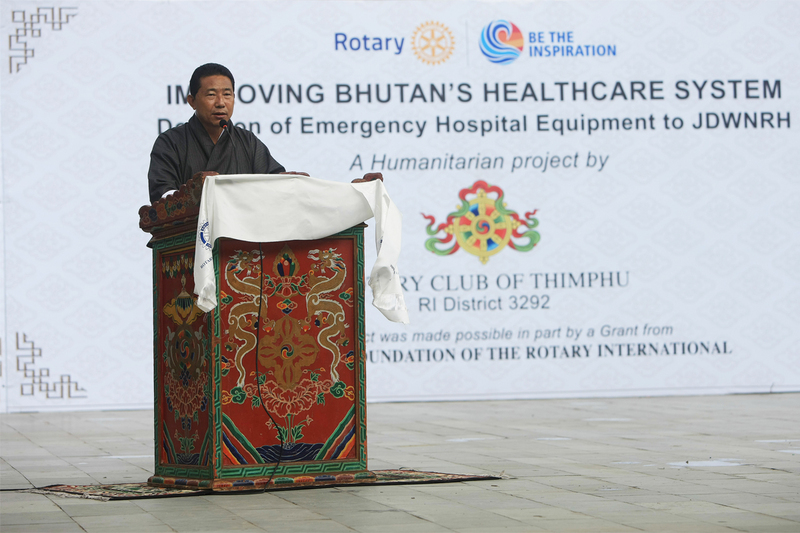 26,300,000.00 towards Bhutan’s healthcare system. That is a healthy sum, by any measure.